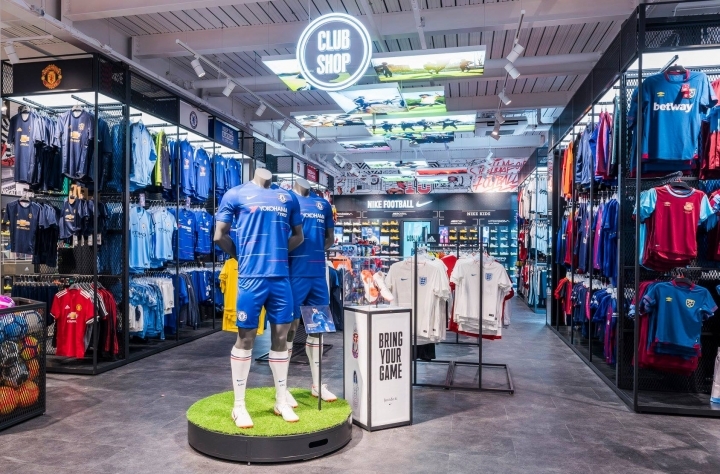 Retail giant Sports Direct has unveiled its new 'beyond sport' store concept at Lakeside Retail Park in West Thurrock. The company has been working with design consultancy, The One Off on the elevated store scheme, which focusses on delivering a 'great customer experience and an enhanced premium value offer'. 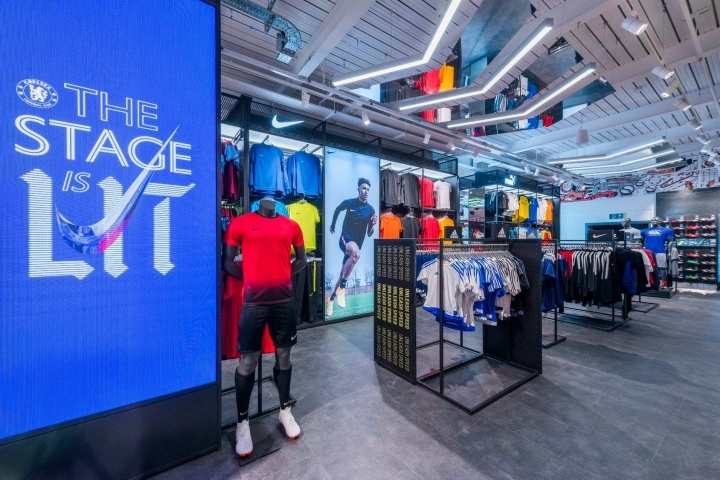 In a fast-paced project spanning 12 months, The One Off has worked with Sports Direct and its brands to deliver a total revolution of the in-store experience. 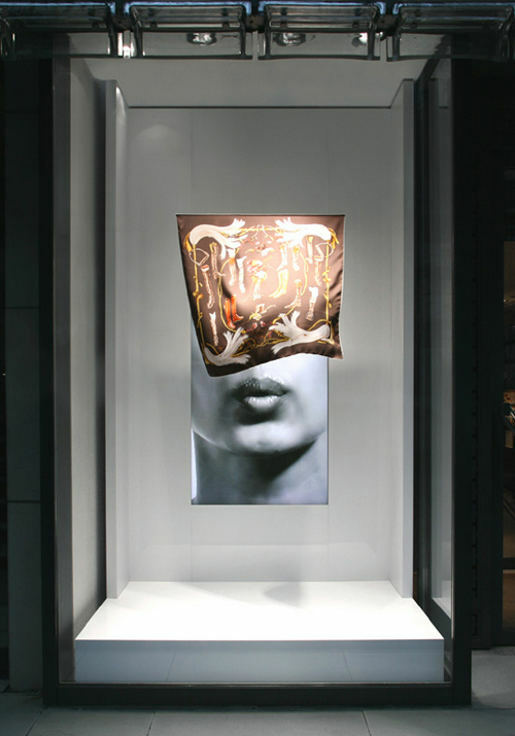 A key focus for the concept was to deliver a dedicated women’s destination in store, enhancing the appeal to women. 'To support this, and her journey through the store, the team have introduced female lifestyle photographic and video imagery to work alongside the diverse range of products available,' says a spokesperson for The One Off. The new concept sees a category-led approach, with open drive aisles and clear sight lines. A universal merchandising system ensures each brand has equal prominence, making it an easier shopping experience for customers. 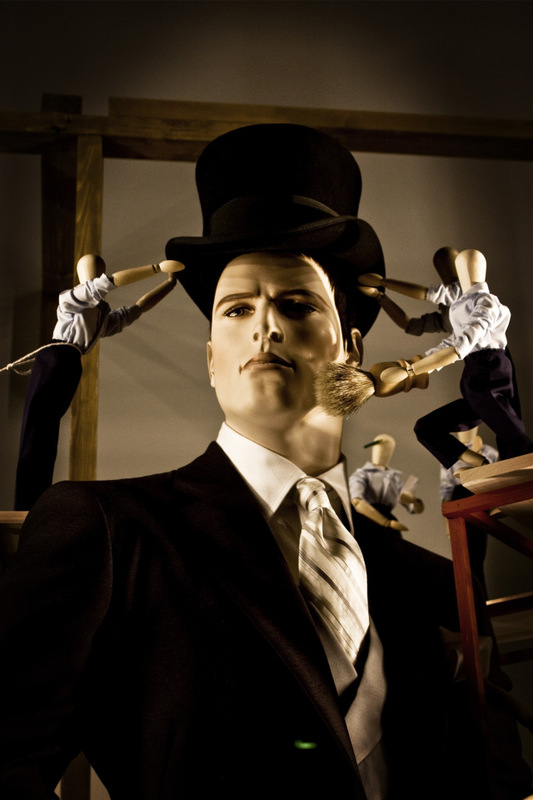 Densely merchandised unitary has been replaced with kit that better balances stock quantity while retaining the choice and value expected from Sports Direct. 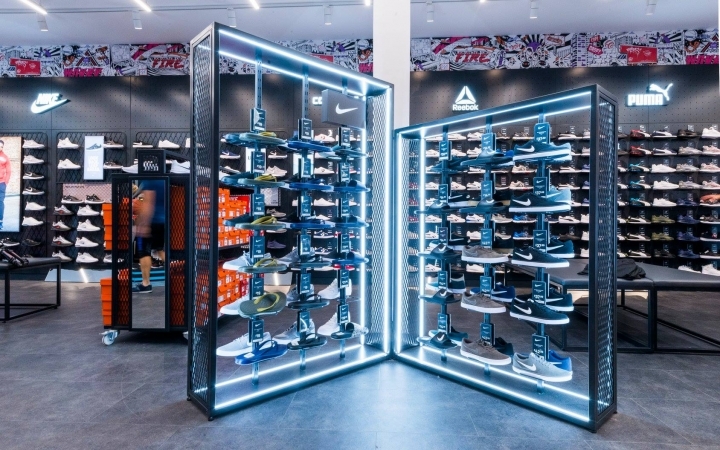 Footwear walls are key destinations in store, each with bespoke graphics to help support the rage of products on display. 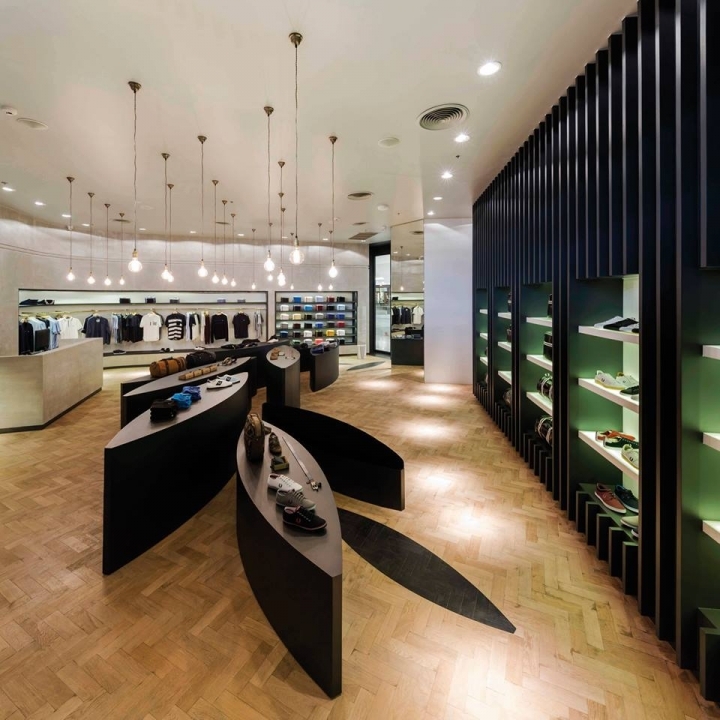 In response to customer feedback, the new store also features a number of gender-neutral changing rooms, complete with 360-degree digital mirrors. 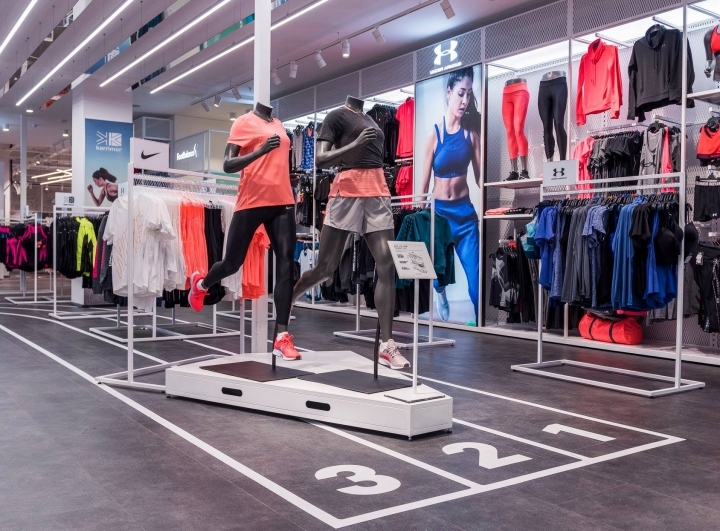 'The Beyond Sport concept has involved designing from the ground up to create a retail store that focusses on the needs of both the customer and store staff,' explains Richard Collier, creative partner at The One Off. 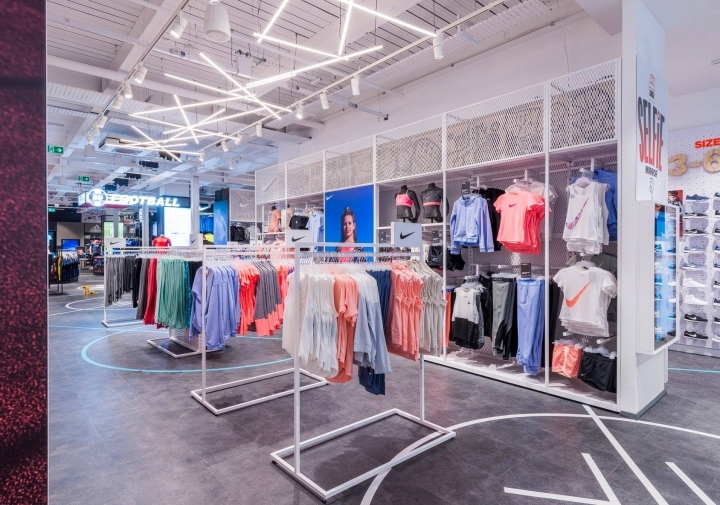 'A flexible retail system allows brands to easily showcase new products whilst ensuring the store remains agile with the ability to be updated quickly and cost-effectively.